Work continues on the Hawea Bridge as contractors Fulton Hogan prepare it for the official opening celebration on Sunday 2nd August. The bridge underwent a “load test” on Thursday 9th July which is a crucial stage in preparing it for public use. One of the ways the bridge was tested was by placing a large “balloon” on the centre of the bridge and pumping it full of river water – approximately 3 tonnes! The bridge passed with flying colours and there are only a few finishing touches required. These works should be completed by the end of next week (17th July). The Trust hope that there will a good community turnout for the official opening to help us celebrate the completion of of our 1st major project. 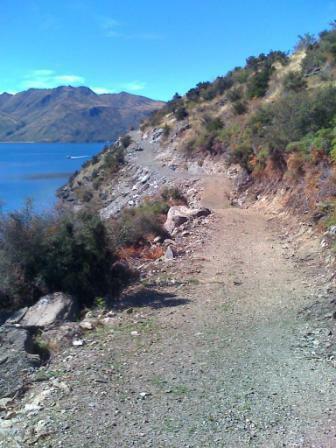 The Hawea River Track was one of the “missing links” in the Te Araroa long distance track that will run from Cape Reinga To Bluff. 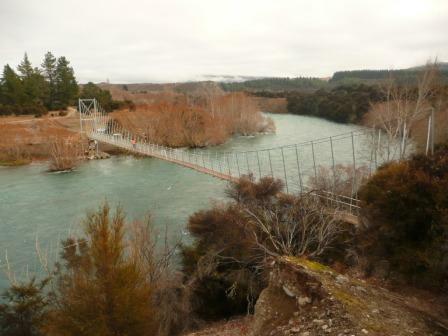 The Te Araroa Track is scheduled to open in 2010 and the Tracks Trust is very proud to be associated with the project and to be able to complete the missing link. The Millennium Track is being extended from Ironside Trig to Glendhu Bay in 2 stages. 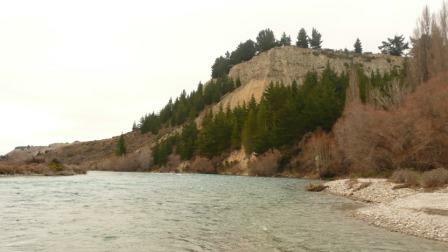 This is the section from Ironside Trig to Damper Bay and is being funded and managed by Otago Regional Council. 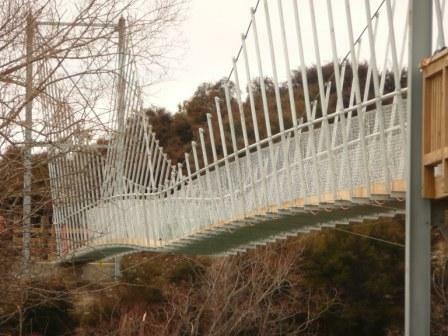 The tender for this work was advertised a few months ago, and the Trust has been advised that subject to some further information being received, Otago Regional Council hope to let the contract in the next couple of weeks. It is anticipated that this section will be finished in early summer. This is the section between Damper Bay and Glendhu Bay, and is being funded and managed by QLDC with assistance and support from the Tracks Trust and Department of Conservation. From a construction point of view, the hardest part of this track around the Bluffs at Damper Bay has already been completed and the rest of the track is currently under construction. It is hoped that this will be finished by early summer. These two stages are also “missing links” in the Te Araroa Project, and again the Tracks Trust is proud to be able to be a part of the national project. This will run from Albert Town to Luggate on the true right of the Clutha River and cross the Cardrona River on a new bridge a few hundred metres upstream from the confluence of the Cardrona and Clutha Rivers. The bridge plans are completed and all the resource consents are in place. The project is being managed on behalf of the Tracks Trust by the Department of Conservation, and the tender to construct the bridge should be advertised later this month. 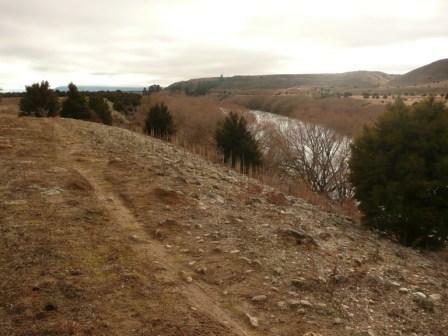 The challenging part of the track to build is just downstream from Albert Town at the Haliday Bluffs, but a track line has been identified through this terrain and continues close to the river until an easier route is available on the river terrace upstream from Stevenson’s Rd. The route from Stevensons Road to Short Cut Rd was marked with warratahs and signposted by DOC about 18 months ago and passes the Reko’s Point historic gold workings. This section will be upgraded later as part of the project. Carparks at Albert Town and near the Red Bridge have already been created for the track.